The Red Sox did not have a lot of depth in center field at the upper levels of their system, and that is the position Henry is most familiar, with 422 of his 767 career games spent there. In addition to center field, Henry saw time at first base, second base, third base, and left field in 2013. Henry may not have a ton of upside, but a player with his positional versatility and a good understanding of the strikezone is a good complimentary player to add depth to a very strong minor league system. 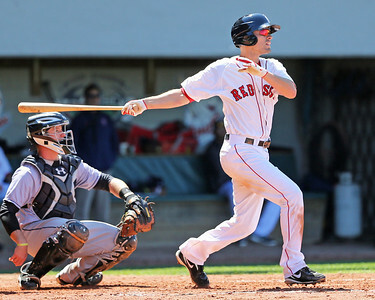 He is expected to be assigned to Pawtucket again in 2014.